Nicknamed the Terrace House, the project is based in Vancouver and pays tribute to its neighboring landmark-listed Evergreen Building. 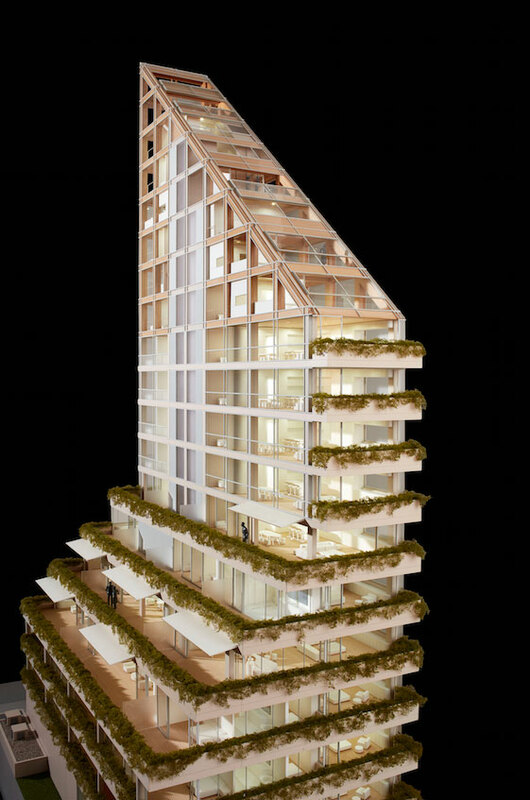 Vancouver-based developer PortLiving has released the latest plans for the world’s tallest hybrid timber structure, designed by Japanese architect and 2014 Pritzker Prize awardee Shigeru Ban. Nicknamed the Terrace House, the project is located in Vancouver’s Coal Harbor neighborhood and pays tribute to its neighboring landmark-listed Evergreen Building, which was designed by late architect Arthur Erickson. The building, Ban’s first work in Canada and his tallest residential project to date, will house only 20 luxury apartments. Similar architectural cues of triangular shapes, natural materials, and green terraces create continuity between the Terrace House and Erickson’s building, according to the developers. Cornelia Oberlander, the original landscape architect who worked on the Evergreen Building, and Hermann Blumer, an internationally renowned wood structural engineer, will be brought in to work with Ban. 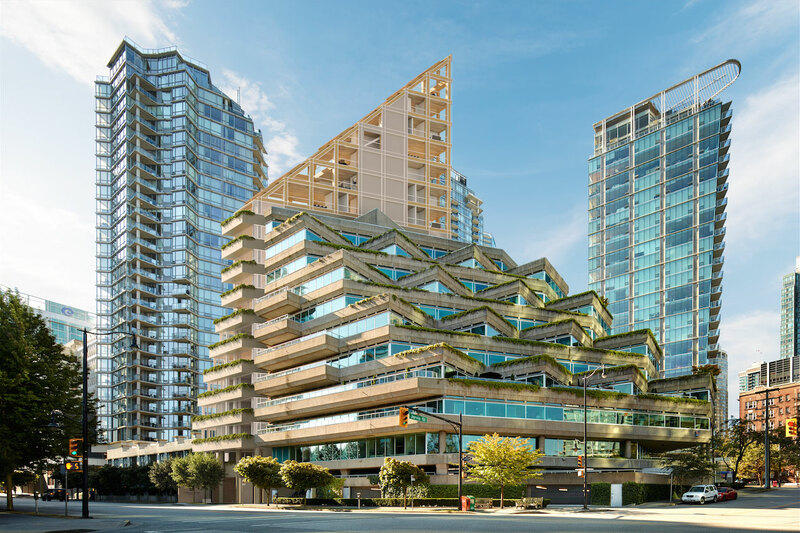 The wood, glass, and concrete building highlights Vancouver’s commitment to sustainable design and advanced timber construction, according to the developers. Its exact height and dates of construction are unknown. Further project details will be released in coming months.